Harley-Davidson’s Custom Vehicle Operations lineup has been the badge-and-shield brand’s shining beacon on the hill. The CVO line’s extravagance and attention to detail are legendary in motorcycling. Packed to the gills with aesthetic and performance features, 2019 is a model year of refinement, pushing the CVO to new heights, and that includes the 2019 Harley-Davidson CVO Road Glide. We spent more than a few days exploring the Midwest while we headed off to celebrate Harley-Davidson’s 115th anniversary in Milwaukee. For now, let’s hit you with the Fast Facts. 1. 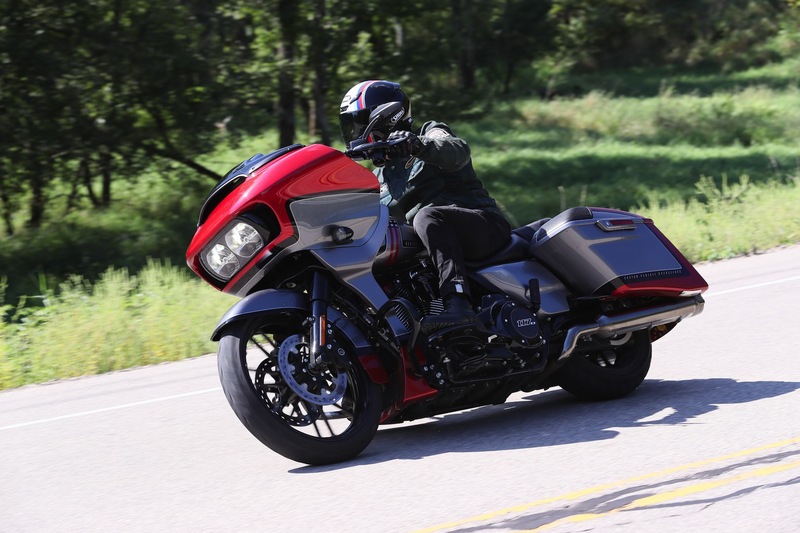 The Milwaukee-Eight 117ci is a standard feature on all 2019 CVO models, and we’re sure glad to have it. Powering the 2019 Harley-Davidson CVO Road Glide is the torque-rich 117ci M8 powerplant that debuted last year. It produces a staggering 126 ft/lbs of torque at 3750 rpm. Compared to the 114, the 117 gets a high-performance camshaft and air intake, and compression is bumped up to 10.2:1. 2. Rolling the throttle on of the 2019 Harley-Davidson CVO Road Glide smooth, predictable, and extremely user-friendly. Save for a hair of abruptness when at waning rpms, this big twin likes to work—and work it does. Pick a gear, any gear, and whack the throttle open to feel more punch in the saddle than a 1990s action movie star. 3. Whether you are speed shifting while blasting down a straight or parading through town, the CVO’s gearbox is smooth and hardy. 4. Built for the long haul, the 2019 CVO Road Glide is no slouch when it comes to the twisty stuff. The Road Glide’s roomy 64-inch wheelbase and 26-degree rake has always bestowed this touring machine with sure-footed handling, giving the rider plenty of confidence at nearly any speed. 5. Showa suspension suits the CVO Road Glide well. Although slightly stiffer than the 19-inch wheel equipped Touring models, the CVO Road Glide still fulfills its role as a touring machine well. While a few harder hits might be transferred to the rider, the firmer suspension gives much more precise feedback. It gains a noticeable amount of stability, making it less likely to wallow while cornering. A hint more initial input in exchange for greater faith when at lean? I’ll take it. 6. The CVO Road Glide ergonomics are made to tackle the miles. The CVO Road Glide’s sub-27-inch seat height means that a wide variety of riders will feel right at home in the saddle. This is significant, as the touring models are most popular among new riders, women, and riders new to Harley-Davidson. At 5’ 10’’ with a 32’’ inseam, I was more than happy with the plush seat and relaxed riding position. 7. There’s plenty of stopping power on the CVO Road Glide. Although unchanged for 2019, the four-piston calipers clamping onto dual 300mm rotors up front and single 300mm rotor in the rear offer up more than adequate stopper power bring the 884-pound CVO Road Glide to a halt in a hurry. Feel at the front lever progressive and leans towards the firm side – without being too taxing on the hand in traffic while retaining good modulation abilities. In the rear, it’s much of the same story, although the foot-pedal angle might be a bit steep for some. ABS is standard. 8. The new CVO Road Glide features a chin fairing that connects to the frame-mounted shark nose fairing. It’s a slight revision that raises the bar regarding appearance and allows each dramatic paint scheme to be on display. 9. Three distinctive color themes are available for the 2019 Harley-Davidson CVO Road Glide. Harley-Davidson and chrome go together like bread and butter, but that’s not for everyone. Working from the center, H-D will be offering three different variations, staring with lighter chrome accents and color schemes and moving their way to darker accents for riders that want a more brooding look. Whatever your preference may be, the liveries they’ve gone with in 2019 will undoubtedly garner plenty of attention from everyone around you, unless they lack a pulse. 10. Sixty-eight liters of storage allows for plenty carrying capacity when out on the road. No, you won’t have as much storage capacity as a full dresser with a top case. However, for those who like to keep it simple while on tour, that’ll store more than enough for an extended trip. The bags can be easily removed should you need to change a tire or perform some other roadside service, and the one-touch latches lock into place quickly. 11. The shiny new Boom! Box GTS infotainment has several tricks up its sleeve. Found on all Touring and Trike models, the GTS infotainment system received a software update that gives it modern functionality in line with today’s touchscreen tech; think pinch, drag, and swipe – the way a modern smartphone, tablet, or touchscreen computer functions. The system boasts faster loading times over its predecessor and is ready to go in about ten seconds. 12. The new Boom! Box is far more intuitive than previous iterations of the infotainment system. One can navigate menus via touch or through hand controls. Also, your phone or communication device can be paired with your phone to listen to take calls, respond to texts, navigate or listen to some tunes. Lastly, tire pressure can be monitored from here as well. 13. Gorilla Glass now allows gloved touchscreen use. Most motorcyclists in 2018 are familiar with taking their plain leather gloves off to do any minor task on their phone. Whether we were caught in a downpour or riding in the sunny Midwestern plains, I was able to do whatever I pleased with a standard gloved hand. You no longer need a glove specifically designed to work with touchscreen devices—any glove will do. 14. Apple Car Play is now supported. Riders who make use of an iPhone and rely on Apple CarPlay in their other vehicles will now find a familiar friend aboard their Touring and CVO machines. 15. The Harley-Davidson app for iOS or Android heightens the infotainment experience. Loaded full of features for riders, one of the most notable aspects of the H-D App is the ability to quickly upload routes to your motorcylce’s navigation. You can create routes from the comfort of your house and simply transmit the route via Bluetooth or USB connection. 16. Tunes are crystal clear aboard the revised CVO Road Glide. Loaded down with four Boom! Stage II bi-amped speakers—two each in the fairing and saddlebag lids—users will hear their music with clarity at highway speeds. It was an impressive feature, even with earplugs and a full-face helmet. The system features 150 watts of power per channel from two 300-watt amplifiers. Don’t worry, you’ll have plenty of power to make that bass hit. 17. When it comes to the Road Glide, the new CVO nails it. This is peak Road Glide, with all the aesthetic bells and whistles ringing out at once. 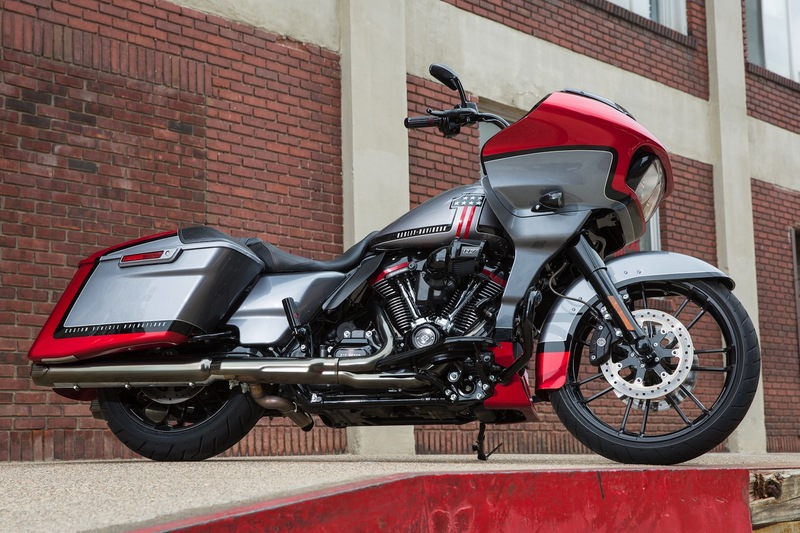 Its tightened chassis and absolutely brilliant finish makes the 2019 Harley-Davidson Road Glide something that’s capable, while also undeniably exclusive. Twin anything, ride everything. No fuss, no muss. Senior Editor.